New BJJ Pants from Submission Sniper, these are top quality pants and are designed for us using premium ripstop cotton material. Gi Trousers and Customer Service. Good quality product, even better customer service. 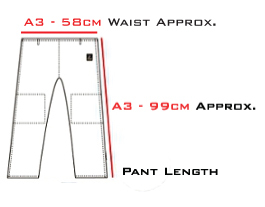 The A2 trousers were a bit too short so exchanged them for A3. Nice and easy. I have not rolled with the trousers yet. But on inspection the trousers is well made.